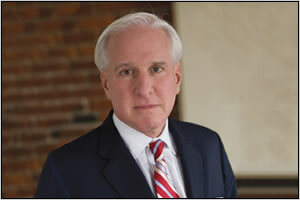 Renowned medical-malpractice attorney Andrew C. Meyer, Jr. describes the wrongful death of his clients' six-year-old son as akin to the experience of someone on death row. "An excessive dose of potassium is how you kill people by lethal injection," says the founding partner of Boston's Lubin & Meyer law firm. "It's a death sentence." According to Meyer, the case at hand originated after the young boy sought care at a Massachusetts hospital for what appeared to be a simple appendicitis. After having a routine surgery to remove his appendix, says Meyer, the boy was given a nutritional supplement via total parenteral nutrition (TPN), a practice of feeding a person intravenously. However, there were discrepancies with how the nutritional supplement was ordered, the attorney claims. On the first day the boy received the treatment—a supplement containing electrolytes (potassium and sodium), amino acids, lipids, minerals, etc—the hospital dietician used an adult template but made modifications to it for the pediatric patient, Meyer says. However, when the nutritional supplement was ordered the next day, the same modifications were not made, according to Meyer. As a result, the boy was given an adult dosage—an amount ten times greater than what would have been given to a child, Meyer says. When the hospital pharmacist questioned the dosage, the dietician confirmed it, Meyer says, though the pharmacy computer set off an alarm noting that a pediatric patient was being given an adult dosage, it was overlooked. "Because of the conversation [with the dietician], the pharmacist chose to override the alarm and allow the prescription to be filled," Meyer says. Compounding matters, according to the attorney, was that the nurse charged with hanging the intravenous supplement was incapable of interpreting the components to realize that it was too high a dosage for the child. "It was so extreme in its nature that the child became very sick," Meyer says of the solution. When additional alarms went off at the child's bedside because of the imbalance of the dosage, those too were overridden, he says. In fact, when the child's parents expressed concern at the alarms, the nurses informed them that this was normal and even showed them how to manually override those alarms, Meyer contends. "There were clearly numerous mistakes, and the fail-safes in the system were not adhered to," Meyer adds. According to Meyer, over the course of the afternoon and evening, the child's condition worsened. His color began graying, and his respiration and pulse increased. It wasn't until he eventually went into cardiac arrest that a doctor was notified. Attempts at resuscitation failed, and the child was pronounced dead just eight hours after being given the nutritional supplement. "The dietician was wrong. The pharmacist was sloppy," says Meyer. "They killed him slowly over eight hours." Meyer says he and his firm began a vigorous investigation to bring the case to trial. It is a battle the firm is quite familiar with, having won more than $500,000,000.00 in verdicts and settlements in the last decade, including several medical-malpractice verdicts that were the largest annually. Negotiations between the parties in this case soon resulted in a confidential settlement that Meyer says is "well into the millions." "There was clear recognition that very serious mistakes had been made. They were unusually sensitive to the plight of these parents," Meyer says of the defendants. "They made every effort to resolve [the case] in a way which not only recognized the value of the child's life, but took steps to ensure that this would never happen again." The defense attorney declined to comment on the case. Along with fighting for financial recompense for his clients' losses, Meyer's firm is vigilant in advocating to effect changes in policy and procedure. In this case, Meyer says policies were put in place to ensure triple checks on nutritional supplements given to children. Additionally, "the computer system has been entirely revamped to ensure that there is no chance of a pharmacy overriding alarms" that indicate the improper filling of a prescription, Meyer says. An annual program has also been instituted at the hospital to educate employees about safety procedures used in the delivery of supplemental nutrients. On a more personal level, the firm fought to have a pediatric playroom named in honor of the boy. "We sadly see many cases where significant errors are made, causing death to patients, and it's always our effort to not only get some type of recompense for the family but to correct the underlying cause of this harm so that those who were injured will not have died in vain," Meyer says. BestLawyers.com Search for lawyers listed in the Best Lawyers in America. LawHelp.org Help finding legal resources for those with low or moderate incomes. Boston Bar Lawyer Referral Service Operated by the Association of the Bar of the City of New York. FindLegalHelp.org Nationwide guide to finding a lawyer, from the American Bar Association.